Upgrade/Downgrade Feature for Web Services - Now Live! Upgrade/Downgrade Feature for Web Services – Now Live! Since we launched Custom Plans for Web Services i.e. Web Hosting, Email Hosting, Website Builder and Website Design, one of the most requested features by Resellers was the ability for Customers to Upgrade/Downgrade between different plans. Just recently, we implemented the Upgrade/ downgrade feature for Web Services. The entire process works on the basis of Credits. 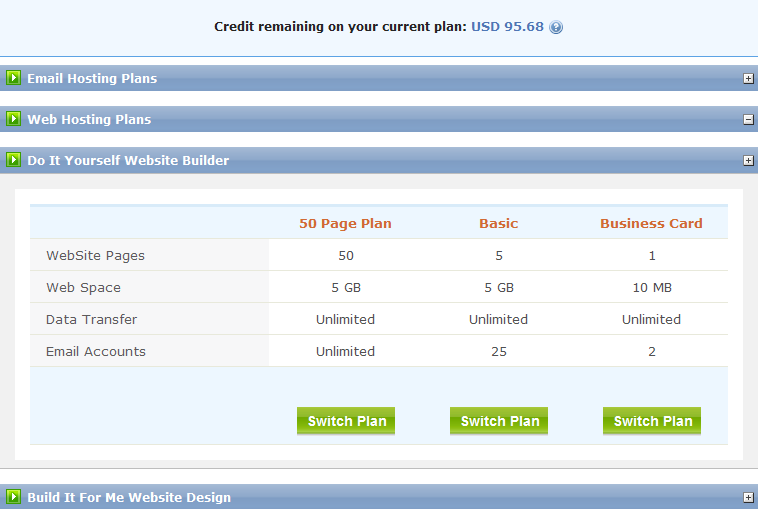 Credits are nothing but the monthly cost of the Web Services plan multiplied by the remaining duration of the package. If the Customer upgrades a certain package, the number of credits will be adjusted into the price of the Web Services package and an invoice for the remaining amount will be raised. If the Customer chooses to downgrade, he/she will be given the option of increasing the duration of his Web Services package. Another interesting aspect of the feature is that your Customers can switch not only between the plans of the same product but also between plans of different Products within Web Services. For example, A Customer can upgrade from an Email Hosting plan to a Web Hosting plan. We’d like to hear your take on the feature as well – Drop in a line in the comments below.